Although my birthday fell during our recent road trip of the New England states, and though I feel with certainty this next statement will not be believed, I will say it anyway. This was not a birthday trip. *Yes, we’re still doing that. Now, don’t get me wrong. I was excited for Boston. First, it’s a city. We know I love my cities. Second, it’s located in a tiny state. And we know that tiny states rule. Third, the people have an accent and use words like ‘wicked’ as an adverb. But even with all this, soon to come in our travels was a place of beauty and nostalgia that no place could outshine, before or after our stay. *Don’t be like us. Avoid making your first introduction to any place at nighttime. We headed to our dinner reservations at Lincoln Tavern and Restaurant blissfully unaware of the parking conditions* of Boston. In New York, we wouldn’t even look for street parking. We’d go straight for a garage. The first problem with Boston’s parking is that their number of garages are few and far between. We drove around until a few minutes past our reservation time. Lance decided it would be best to drop me off so I could get our table while he kept searching for a spot. So there I stood, at the doorway, with nothing to do but stare as people came in and out and then every so often longingly look outside the door for Lance. Of course, the longer I waited the more I imagined the horrible outcomes that could take place. What if Lance was in an accident? I had no cell phone with which to be reached. I didn’t even have a room key on me to get back into our hotel room! Naturally, about ten minutes into my waiting I watched as a car pulled out of a spot directly in front of the restaurant. And then somewhere around twenty minutes later my fears were rested as Lance came through the door. This frustration with parking was only the start of our first taste of Boston. The restaurant, on this particular night, was clearly playing more towards its tavern side. The long bar area was over crowded with girls in awkward outfits shifting their weight in shoes they clearly should not have worn and men who were not dressed anywhere close to the ladies’ attempts. And, it was loud. So, so, so loud. 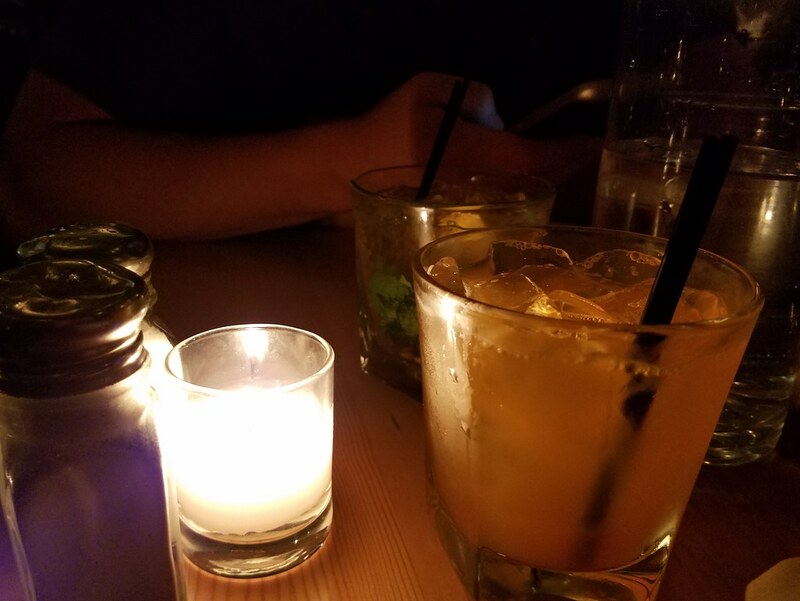 Between the thumping music and the distraction of the colorful characters at the bar, no conversation was capable of being held at our table. The one saving grace was that the food was good. So, so good. 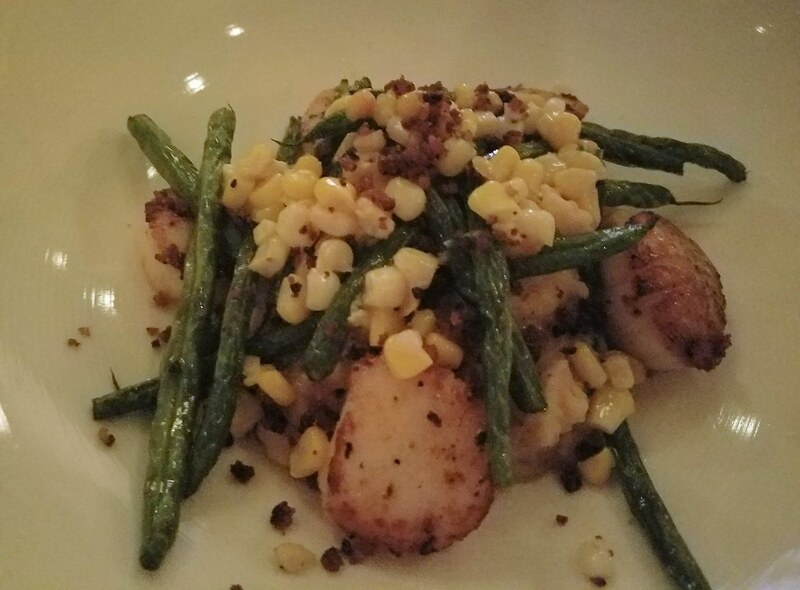 Just look at the perfect sear on those scallops! 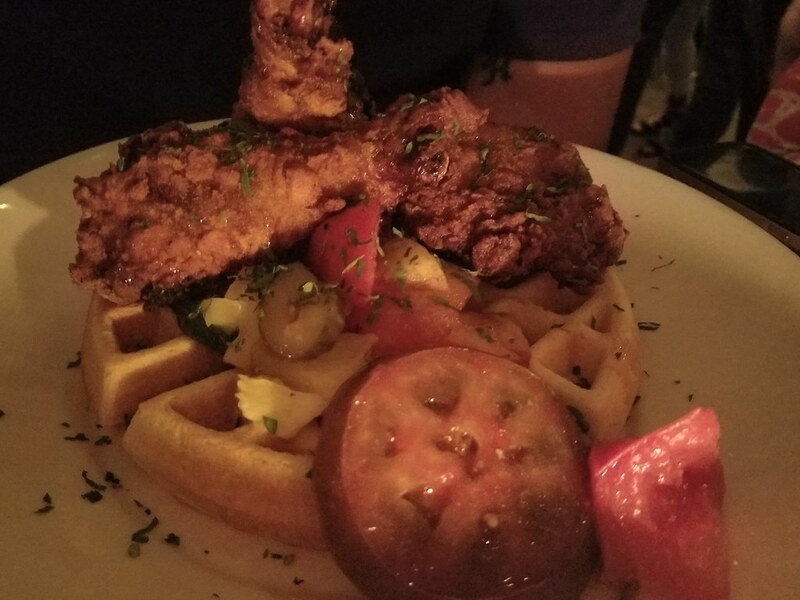 And how they garnished this chicken and waffles! Having no experience with the city of Boston, we assumed the craziness of South Boston would not be present everywhere. 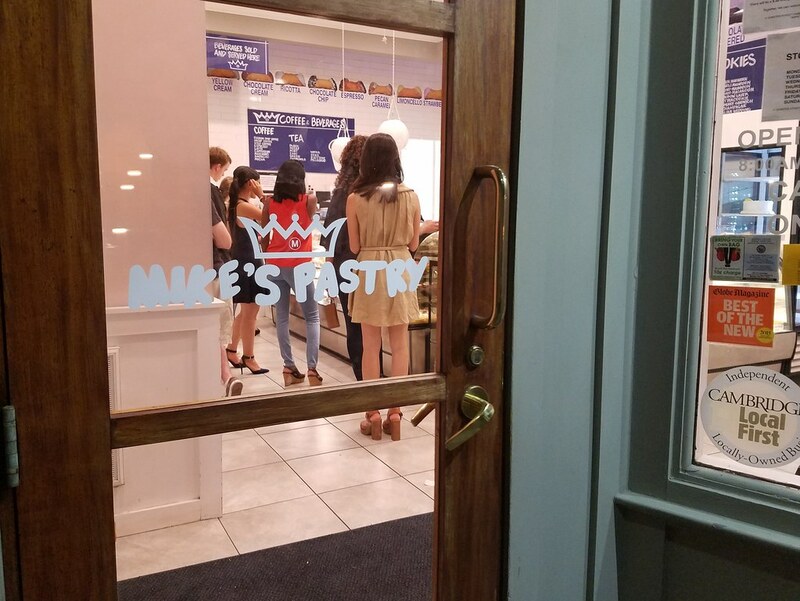 Mike’s Pastry was our desert place of choice. Though they had a location in Cambridge (where our hotel was), we decided to go to the North Boston location thinking, stupidly, that North Boston couldn’t possibly be the same as South. We were going for dessert, after all. Dessert at a pastry shop. We should be in and out in no time. It seems impossible to even say this, but the situation in North Boston was worse. Again, not a parking garage in sight, and this time there were swarms of people coming and going. Swarms. The streets were packed tighter than bees in a beehive. 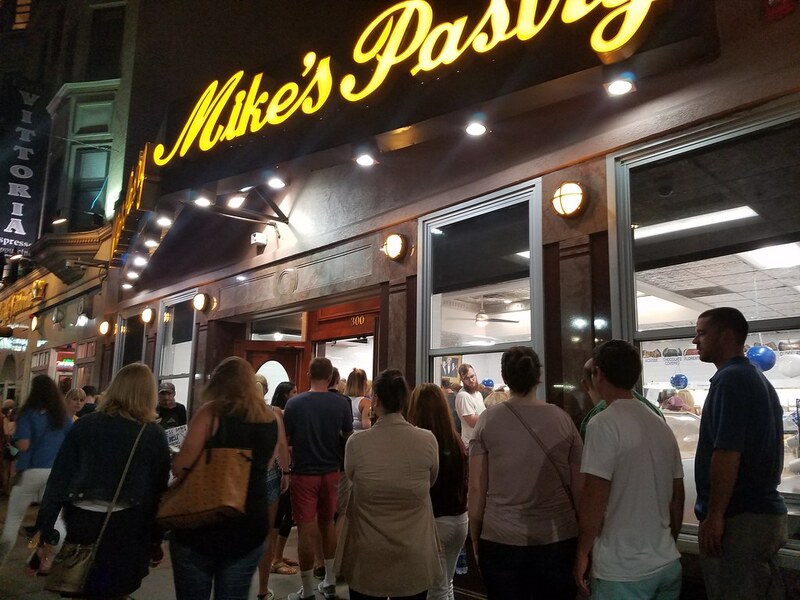 To top it off, Mike’s Pastry had a line leading out around the corner of their building. I mean, really? For cannoli? I made a few desperate attempts at getting dessert. Lance dropped me off and drove around the block and in the time it took me to walk down the block, turn around, and walk up the other block, he hadn’t circled once. 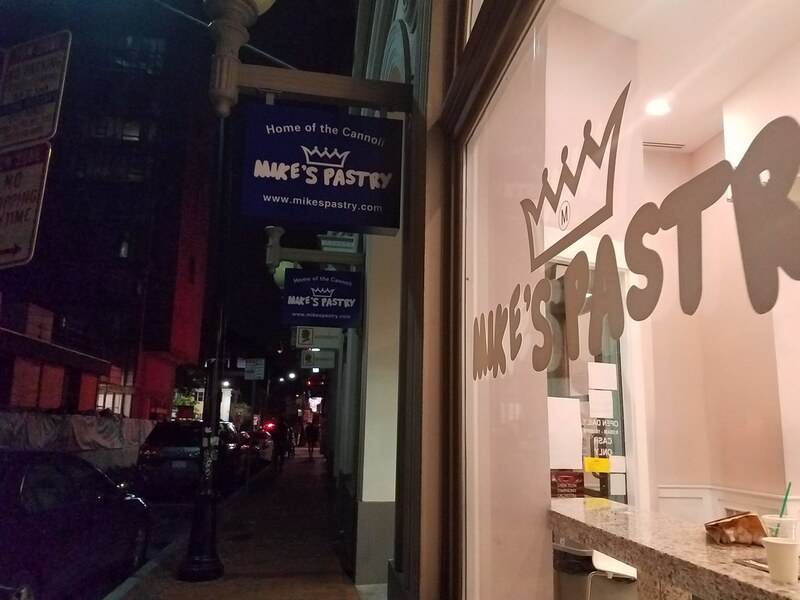 After popping in and out of two other places (one with no line, and one with a line slightly shorter than Mike’s) the frustration of the entire situation overwhelmed me to the point that I threw in the towel for getting dessert. With nothing left to do, Lance made the executive decision for us to discover if Cambridge was just as insane as Boston. To the second Mike’s Pastry location we went. And this was their line. But, this was their cannoli case. Fortunately, they served plenty of desserts other than cannoli. 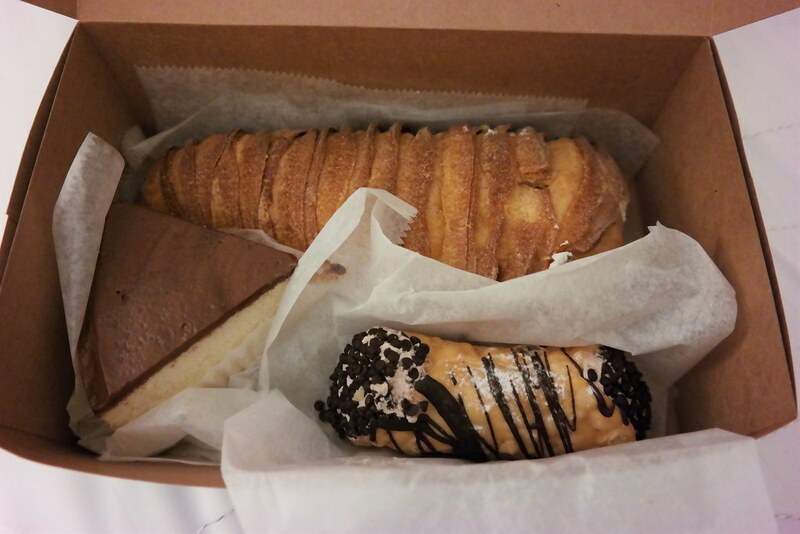 We left with a chocolate mousse cannoli, a lobster tail, and a slice of Boston cream pie, because when in Boston–eat Boston cream pie, am I right? The cannoli was disappointing. 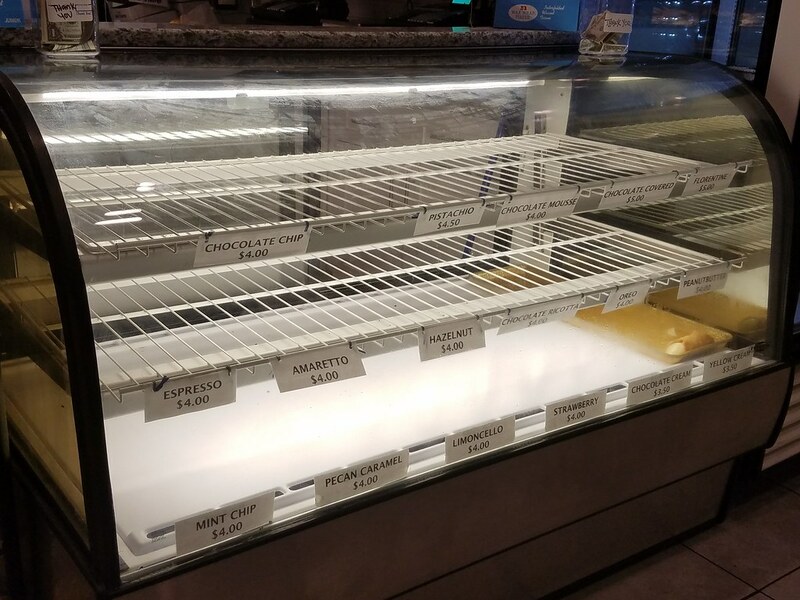 I expected cannoli cream mixed with chocolate mousse, only to discover it was a cannoli shell filled with only chocolate mousse. It’s not a cannoli if it doesn’t have ricotta, am I right? 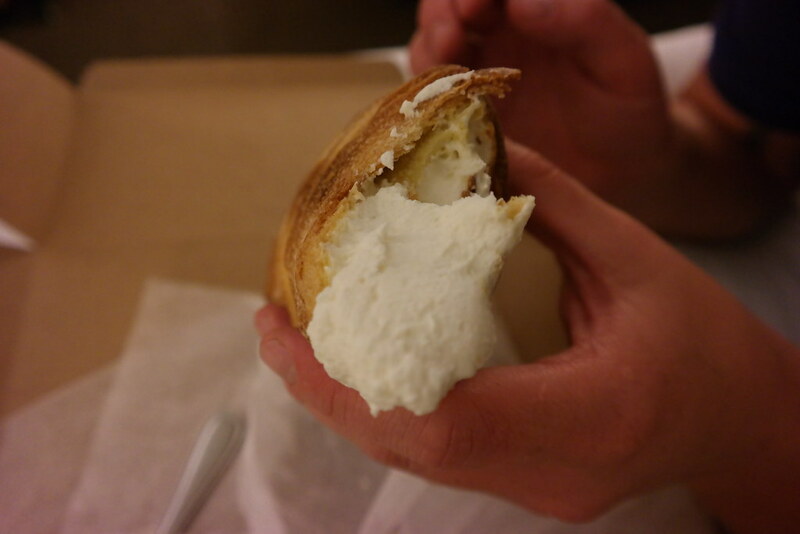 Though the lobster tail was filled with somewhere near a pound of delicious cream, the shell was kind of chewy. 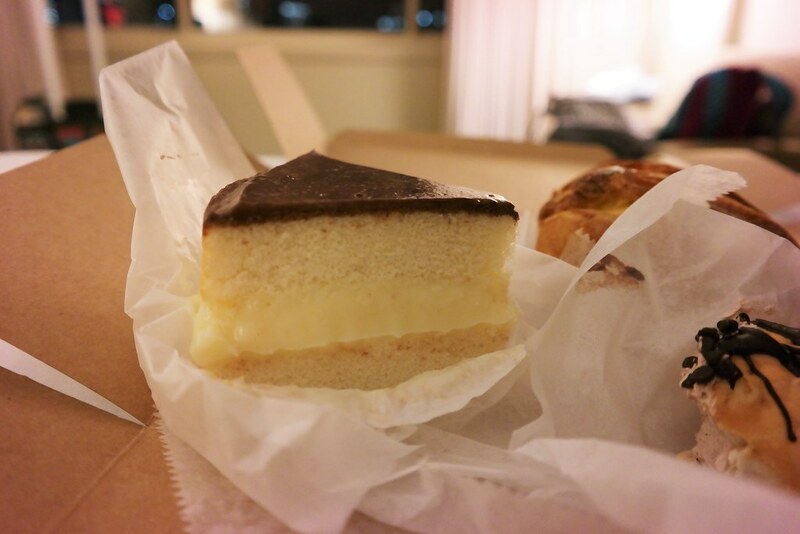 The winner, which, let’s be real, wasn’t too big of a surprise, was the Boston cream pie. I’m a little confused as to why it’s called pie, because it’s really cake, but after a few bites it didn’t matter. I have chosen to dub the creator of this cake a genius. Somehow a cold custard filling I would ordinarily avoid became a crucial element to this layered treat. As a chocolate lover by nature, the depth of chocolate flavor such a light layer of frosting gave each bite amazed me. It was not a bad ending to a crazy birthday in Boston.